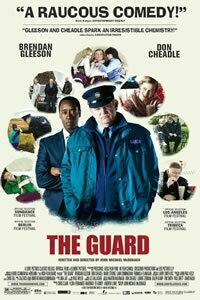 A crowd favourite at the 2011 Sundance Film Festival, The Guard is a lively and often hilarious Irish crime comedy. The Guard has a dry and blackly comic sense of humour and a terrific performance by Brendon Gleeson (In Bruges). Gleeson stars as Sergeant Gerry Boyle, an unconventional small-town cop on the West Coast of Ireland. Gerry is far more concerned with the needs of his ailing mother than small-town crime. However, when a local murder appears to have connections to a gang of inter­national drug traffickers, Boyle is forced to team up with FBI Agent Everett (Don Cheadle).